The Victoria Royals confirmed on Monday that head coach Dave Lowry and D Mitchell Prowse have tested positive for mumps. At the same time, D Ralph Jarratt was cleared. The team made the announcement on its Facebook page. Lowry and Prowse, who had been isolated from the team as it awaited the test results, are expected to rejoin the Royals this week in preparation for a weekend home-and-home series with the Everett Silvertips. 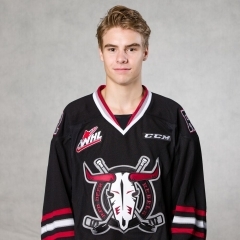 Jarratt, meanwhile, is shown on the WHL’s weekly roster report as being out week-to-week with an upper-body injury. Lowry missed a third straight game on Tuesday as the Royals dropped a 5-3 decision to the Vancouver Giants in Langley, B.C. With Lowry missing, assistant coach Dan Price again ran the bench, with help from assistant Doug Bodger, who usually works only home games. It seems that the mumps outbreak also has touched the BCHL. Taking Note has been told that a player with the Penticton Vees was diagnosed with mumps two weeks ago. He was quickly isolated and the viral disease doesn’t appear to have spread within the organization. The player in question returned to practice this week. F Massimo Rizzo will be joining the BCHL’s Penticton Vees for the remainder of their playoff run that begins Friday against the Merritt Centennials. Rizzo was a first-round selection, 15th overall, by the Kamloops Blazers in the WHL’s 2016 bantam draft. He played in three games with the Vees during the regular season. Last season, Rizzo put up 137 points, including 60 goals, in 61 games with the Burnaby Winter Club’s Tier 1 bantam team. This season, with the BWC midget prep team in the Canadian Sport School Hockey League, he had 78 points, including 59 assists, in 43 games. Rizzo’s club will conclude its season this weekend, after which he will join the Vees. Rizzo was pointless in his first three games with the Vees. Of course, F Tyson Jost didn’t get a point in his first three games with the Vees, either, when he was an AP in 2013-14 while playing for the major midget Okanagan Rockets. Jost went on to enjoy 45- and 104-point seasons with the Vees before being the 10th overall selection by the Colorado Avalanche in the NHL’s 2016 draft. Jost now is completing his freshman season at North Dakota. Rizzo spent some time in mid-February on the U of Wisconsin campus in Madison. Maco Balkovec, his coach at BWC, was a Wisconsin defenceman for four seasons (1991-95). The Everett Silvertips have signed F Conrad Mitchell, who was a seventh-round selection in the WHL’s 2016 bantam draft. 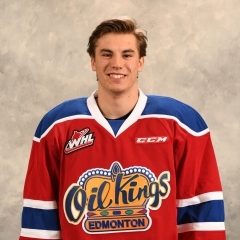 From Thorsby, Alta., Mitchell played this season with the minor midget AAA Leduc Oil Kings, recording 35 points, 17 of them goals, in 35 games. G Austin McGrath, 19, has committed to Cornell where he will play for the Big Red. McGrath, from Lloydminster, Alta., was a fourth-round selection by the Medicine Hat Tigers in the WHL’s 2013 bantam draft. His WHL rights later ended up with the Edmonton Oil Kings, who dealt them to the Everett Silvertips on May 11 for a conditional seventh-round pick in the 2017 bantam draft. . . . McGrath played this season with the AJHL’s Lloydminster Bobcats. Elliotte Friedman of Sportsnet spent the past week hunting and gathering. The result is the latest edition of 30 Thoughts and it’s right here. Eishockey Liga after six seasons as their head coach. Daum, 59, was under contract with the Austrian club through 2017-18. . . . The Black Wings were eliminated from the Erste Banke playoffs on March 7. . . . Under Daum, the Black Wings won the EBEL championship in 2011-12, his first season with them. . . . With 237 victories during his time with Linz, Daum is No. 1 on the Erste Bank career list. He also was the league’s longest-serving coach. . . . “We are of the opinion that the club . . . needs a new direction after six years under the same coaching,” team president Peter Freunschlag said in a news release. . . . Daum coached in the WHL with the Prince Albert Raiders, Swift Current Broncos and Lethbridge Hurricanes (1989-95). Dean Blais won’t be returning for a ninth season as head coach of the U of Nebraska-Omaha Mavericks. Blais and the school’s athletic department made the announcement Tuesday. . . . Blais, 66, was 146-133-30 with the Mavericks, appeared in two NCAA tournaments and reached the Frozen Four on one occasion. This season, UNO was 17-17-5. . . . UNO’s season ended Sunday with a ?? OT loss to the Western Michigan Mustangs, after which Blais seemed to indicate that he would be returning. It would appear, however, that something changed between then and Tuesday morning. . . . During a 10-season (1994-2004) stint at North Dakota, Blais won two NCAA championships. . . . Adam Wodon of College Hockey News has a whole lot more right here. Matt Keetley wins the 50-50? Can they put him in goal? If the playoffs began today . . .
period PP goals, from D Artyom Minulin (8), at 11:31, and F Tyler Steenbergen, at 17:54. . . . Steenbergen leads the WHL with 51 goals. . . . The Wheat Kings tied it on two second-period goals, 37 seconds apart, from F Tanner Kaspick (19), at 0:26, and F Nolan Patrick (20), at 1:03. . . . F Riley Stotts (8) snapped the tie at 15:46 and F Lane Pederson (24) made it 4-2 at 16:39. . . . The Broncos went ahead 5-2 when F Glenn Gawdin (25) counted at 6:32 of the third period. . . . Brandon F Ty Lewis scored his 30th goal, at 7:32. . . . The Broncos ended the scoring as F Arthur Miller (7) struck on a PP, at 12:19. . . . The Broncos got three assists from F Conner Chaulk and two from F Ryley Lindgren, with Pederson, Steenbergen and Minulin each had one. . . . Lewis added an assist to his goal. . . . The Broncos got 24 saves from G Taz Burman. . . . G Jordan Papirny, who played the first four-plus seasons of his WHL career with Brandon, wasn't able to make the trip east due to illness. He now has sat out three straight games. . . . With Papirny out, the Broncos had Bailey Brkin on the bench. The 6-foot-4 Brkin, 17, is from Sherwood Park, Alta. 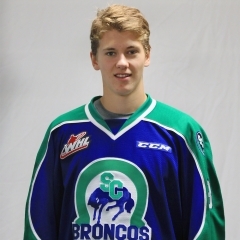 He played this season with the AJHL’s Calgary Mustangs. . . . Brandon G Logan Thompson stopped 36 shots. . . . Swift Current was 3-3 on the PP; Brandon was 0-2. . . . D Kale Clague was among Brandon’s scratches, while D Aiden Mucenski made his WHL debut with the Wheat Kings. Mucenski, who turned 18 on Jan. 1, is from Calgary. He had 20 points, 19 of them assists, with the midget AAA Calgary Flames this season. . . . D Colton Sissons was among Swift Current scratches. . . . The Wheat Kings lost F Tyler Coulter to a charging major and game misconduct at 13:38 of the first period for a hit on Broncos F Kaden Elder. . . . The Broncos (38-21-10) have won three in a row. They also have won six straight on the road. Swift Current is third in the East Division, five points Moose Jaw with each team having three games remaining. They will wrap up the regular season with a home-and-home series on the weekend. . . . The Wheat Kings (30-29-10) have lost 12 of their past 15 games. They hold down the Eastern Conference’s first wild-card playoff spot. . . . Announced attendance: 4,009. . . . The Wheat Kings completed the roster of their 50th anniversary Dream Team with Ray Allison (1975-79), Bill Derlago (1974-78) and Brian Propp (1976-79) on the first line, with Brad McCrimmon (1976-79) and Ivan Provorov (2014-16) on the first defence pairing and Ron Hextall (1981-84) in goal. over the Kootenay Ice. . . . Kehler has 17 goals this season. . . . This was Edmonton’s first victory since Feb. 15 when Kehler’s OT goal gave the Oil Kings a 3-2 victory over the visiting Ice. . . . F Brett Davis (18) gave the home side a 1-0 lead 51 seconds into the second period. . . . Edmonton tied it when F Tyson Gruninger scored his second goal of the season at 19:46. . . . The Ice went back in front on F Jake Elmer’s seventh goal, at 4:46 of the third period. . . . Edmonton forced OT when F Davis Koch scored No. 21 at 6:51. . . . Edmonton G Josh Dechaine blocked 20 shots. . . . The Ice got 32 saves from G Payton Lee. . . . Edmonton was 0-1 on the PP; Kootenay was 0-2. . . . The Oil Kings (21-43-6) have lost their previous 12 games (0-10-2). . . . The Ice (14-43-12) has lost seven in a row (0-5-2). . . . Neither of these teams will be in the playoffs. . . . Announced attendance: 1,672.
route to an 8-3 victory over the Tigers. . . . Red Deer, which clinched a playoff spot, broke it open with four goals, including two shorties, in a span of 2:15 in the third period. . . . The Tigers actually held a 2-1 lead halfway through the game, thanks to a pair of PP goals. . . . F Matt Bradley (34) gave the Tigers a 1-0 lead at 8:34 of the first period. . . . The Rebels tied it when F Lane Zablocki got his 27th goal, shorthanded, on a penalty shot, at 7:38 of the second period. . . . Medicine Hat went back out front at 7:53 as F Zach Fischer got his 34th goal. . . . F Brandon Hagel got the Rebels even, again, at 10:34 and F Jordan Roy’s third goal put the visitors in front at 17:25. . . . Hagel’s 27th goal, at 6:42 of the third period, started the Red Deer explosion. . . . F Austin Glover scored his 21st at 7:46, with F Evan Polei (32) and F Michael Spacek (29) scoring shorties at 8:37 and 8:57, respectively. . . . F Max Gerlach added a PP goal for the Tigers, at 9:25, before Roy scored again, at 13:12. . . . Red Deer got three assists from D Jared Freadrich and two each from F Matt Campese and Hagel, with Polei, Glover and Spacek adding one each. . . . Hagel’s four-point night made him a point-a-game guy, with 63 points in 62 games. . . . Gerlach and Bradley had assists for the Tigers. . . . G Lasse Petersen earned the victory with 37 saves. . . . The Tigers got 14 saves on 18 shots from starter Michael Bullion, in 51:02, while Nick Schneder allowed four goals on seven shots in 8:57. . . . Medicine Hat was 3-4 on the PP; Red Deer was 0-2. . . . The Rebels (29-28-12) are 4-0-2 in their past six games. They are third in the Central Division, four points ahead of Calgary. . . . The Tigers (49-20-1) had won their previous three games. They will finish atop the Central Division. . . . Announced attendance: 3,089.
over the Warriors. . . . D Max Martin’s eighth goal gave the visitors a 1-0 lead at 4:13 of the first period. . . . The Warriors tied it on D Dmitri Zaitsev’s second goal, on a PP, at 14:15. . . . The next two goals came in the third period. . . . F Parker Kelly (20) gave the Raiders a 2-1 lead at 3:09. . . . The Warriors forced extra time when F Noah Gregor got No. 25, at 18:54, with G Zach Sawchenko on the bench for an extra attacker. . . . F Curtis Miske had two assists for Prince Albert, while Kelly had one. . . . 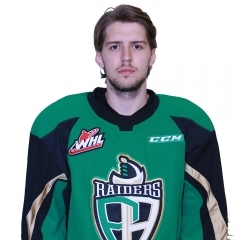 The Raiders got a big night from G Nick Schneider with 41 saves. . . . At the other end, Sawchenko stopped 31 shots. . . . The game featured two penalty shots, neither of which was successful. F Cavin Leth of the Raiders came up empty at 8:08 of the first period, with F Jayden Halbgewachs of the Warriors coming up short at 17:36 of the second. . . . Moose Jaw was 1-1 on the PP; Prince Albert was 0-3. . . . The Raiders improved to 20-43-7. . . . The Warriors (41-19-9) have lost three in a row (0-2-1) and remain second in the East Division. . . . Announced attendance: 3,013.
the Saskatoon Blades, 5-4, to clinch first place in the WHL’s overall standings. . . . The Pats last finished atop the overall standings in the spring of 1974. That year, they went on to win the Memorial Cup at the Corral in Calgary. . . . Steel scored his 49th goal and added two assists, with Brooks chipping in three assists. . . . Steel leads the WHL with 127 points, seven more than Brooks, who won last season’s scoring title with 120 points. . . . Brooks leads the WHL in assists (81), three more than Steel. . . . The Blades, who are fighting for their playoff lives, took a 3-1 lead into the second period. . . . F Caleb Fantillo (5) gave Saskatoon a lead at 3:04 of the first period. . . . F Nick Henry (34) tied it with a PP goal at 5:38. . . . 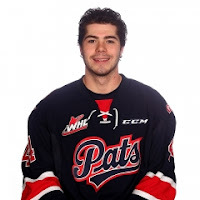 The Blades took a 3-1 lead on goals from F Dryden Michaud, his first WHL goal in his 27th game, at 16:23, and F Josh Paterson (16), at 16:51. . . . Regina F Jeff de Wit, celebrating his 19th birthday, got the Pats to within a goal with his ninth, at 3:43 of the second period. . . . Steel tied it at 13:37. . . . D Josh Mahura (17) gave Regina its first lead, at 18:16. . . . Regina D Connor Hobbs, who also had an assist, scored his 29th goal, on a PP, at 15:22, for a 5-3 lead. Hobbs leads all WHL defencemen in goals and points (81). . . . Saskatoon made it interesting when F Michael Farren scored his seventh goal, on a PP, at 18:43. The Blades held a two-man advantage and then pulled G Logan Flodell for an extra attacker at the time. . . . Fantillo added an assist to his goal. . . . G Tyler Brown earned the victory with 22 saves. . . . Flodell stopped 30 shots. . . . Regina was 2-7 on the PP; Saskatoon was 1-7. . . . The Pats (49-12-8) have won five in a row and have tied a franchise record with 49 victories. . . . The Blades (27-34-9) have lost three straight. They are three points out of a playoff spot and have just two games remaining. . . . Regina went 5-0-1 in the season series. . . . Announced attendance: 4,695. Portland Winterhawks to a 6-1 victory over the Tri-City Americans. . . . The Winterhawks (39-27-4) are third in the U.S. Division, three points clear of the Americans (38-28-3), who have lost five in a row. . . . Tri-City holds down the Western Conference’s second wild-card spot, one point behind Victoria. . . . Iverson has put together seven two-point games in his past eight outings. In 53 games, he has 68 points, including 25 goals. . . . The Winterhawks took control with the game’s first four goals, three of them in the first period. . . . The first three goals came from F Skyler Mckenzie (42), Iverson, on a PP, and F Lane Gilliss (6). . . . F Jake Gricius (10) made it 4-0 at 6:49 of the second period. . . . F Kyle Olson scored Tri-City’s goal, his 20th, at 12:59 of the third period. . . . Iverson and F Brett Clayton (2) added late goals for Portland. . . . 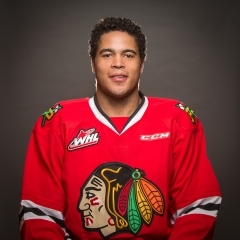 The Winterhawks got two assists from each of D Caleb Jones and F Ilijah Colina, with McKenzie adding one. . . . Portland G Cole Kehler turned aside 35 shots. . . . Tri-City got 31 stops from G Rylan Parenteau. . . . Portland was 1-2 on the PP; Tri-City was 0-6. . . . The Americans lost F Landon Fuller to a charging major and game misconduct at 9:41 of the first period. . . . 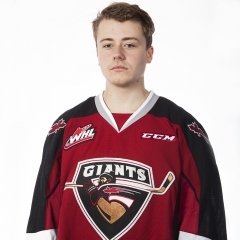 Announced attendance: 3,092.
.@AidanBarfoot will make his WHL debut for @WHLGiants tonight vs. Victoria. Becomes 8th Affiliate Player to suit up for Van this season. points, including 20 goals, in 66 games this season. . . . The Giants scored the game’s first two goals, from F Brayden Watts (7), at 3:03 of the first period, and Malm, at 9:48 of the second. . . . Victoria F Matt Phillips got his guys on the scoreboard at 9:58. . . . The Giants got that one back when D Jordan Wharrie got his fifth goal, on a PP, at 14:48. . . . The Royals cut the deficit to one when Phillips scored his 50th goal, on a penalty shot, at 1:16 of the third period. . . . The Giants went back up by two on F Ty Ronning’s 25th goal, at 2:39. . . . The Royals wouldn't go away, though, and F Blake Bargar cut the host’s lead to one with his sixth goal, at 7:06. . . . Malm iced it at 12:18. . . . Watts added two assists to his goal, with F Johnny Wesley and F Calvin Spencer also getting two assists apiece. . . . Vancouver G David Tendeck earned the victory with 39 saves. . . . The Royals got 28 stops from G Griffen Outhouse. . . . Vancouver was 1-3 on the PP; Victoria was 0-3. . . . The Royals went 0-4-1 on a five-game road trip that included an introduction to mumps. Head coach Dave Lowry and defencemen Ralph Jarratt and Mitchell Prowse missed the last three games. . . . Victoria D Ryan Gagnon has tied the franchise record for career games played (318). F Brandon Magee played in 66 games with the Chilliwack Bruins and 252 with the Royals. Gagnon will break the record if he plays Friday against the visiting Everett Silvertips. . . . F Jack Walker played in his 316th regular-season game with the Royals last night. . . . The Royals won eight of 10 games in the season series. . . . The Giants (20-43-6) had lost their previous eight games (0-7-1). . . . The Royals (37-27-6) have lost five in a row (0-4-1). They are in possession of the Western Conference’s first wild-card spot, a point ahead of Tri-City. . . . Announced attendance: 4,158. Everett at Kelowna, 7:05 p.m.
Kootenay at Lethbridge, 7 p.m. Swift Current at Regina, 7 p.m.
Seattle at Spokane, 7:05 p.m.